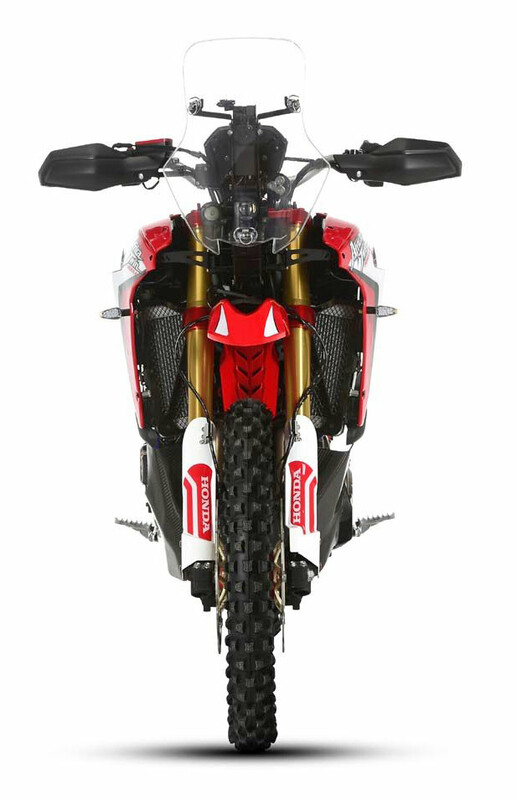  Pricing and details revealed for new Rally Race version of the CRF1000L. 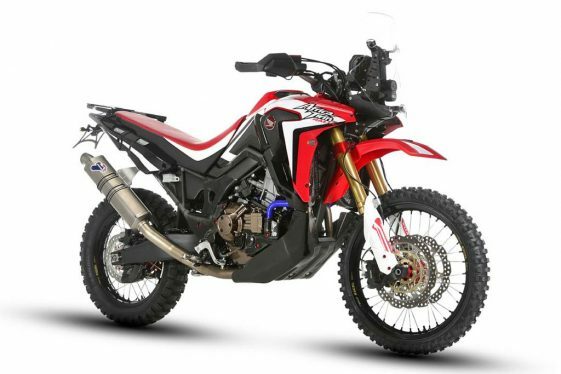 Honda Europe has unveiled a new CRF1000L Africa Twin Rally at the Motodays Motorcycle Expo held in Italy this week. 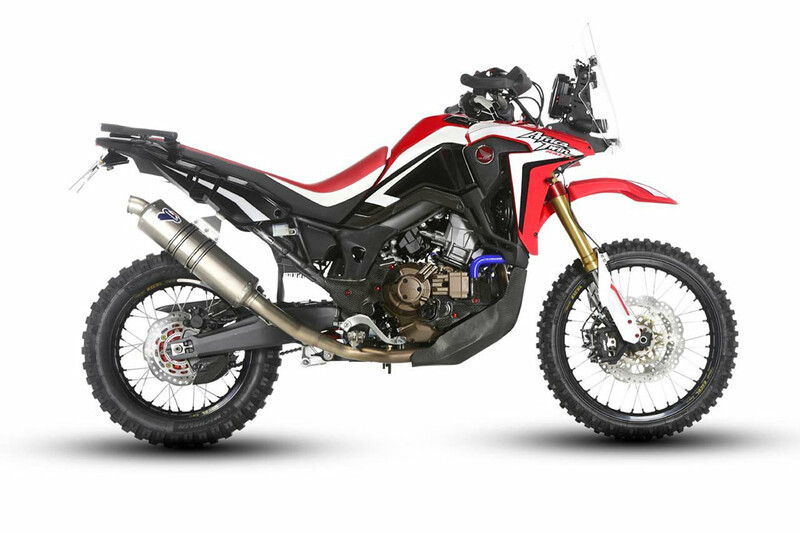 The new Africa Twin rally version was developed taking advantage of professional racing components and is based on Paolo Ceci’s rally bike, which was a top contender at the Africa Eco Race. The rally version, created in collaboration with Red Moto, meets Euro 4 standards for road use and will be available in both manual and DCT transmission. All-around modifications slim down the CRF1000L Rally by 15.4 pounds and give the bike a boost of 5 horsepower as a result of a full Termignoni racing exhaust system. Up-spec suspension, heavy-duty wheels, braided steel brake lines, a high front fender, programmable ECU via app and carbon-fiber components are just some of the upgrades added to improve performance and durability off-road. 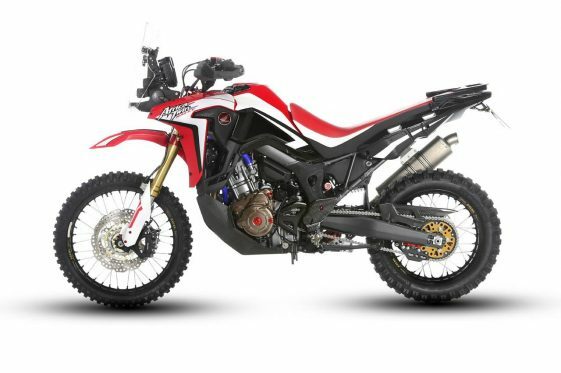 Moto.it reports the Honda CRF 1000L Africa Twin Rally is already in some European dealerships for a price of 21,490 Euro (standard) and 22,640 Euro (DCT) and will be available in HRC Tricolor and Rally Red colors. No word yet from Honda on availability for the US market so stay tuned for more news to come! UPDATE: Honda has confirmed the Rally version is a local partnership with Honda Red Moto and will only be available in Italy and in limited numbers. Unfortunately, this will be a bike we’ll have to drool over from this side of the world.  New Honda Africa Twin Finally Revealed at EICMA? I thought this was fake…? Bruised ego? Poor little sub 100hp bike, just causing turmoil in the land of look at me KTM’s and BMW’s. So funny to read and see the squirming in person. must have your Honda knickers in a twist? It’s a one-off build from an Italian Honda dealership. It’s not being mass produced. What Jon said. And that info, that this is not a factory model, has been out since early March. Why is ADV PULSE and so many other sources still posting these articles without adding in that part? Correct, it has been confirmed this won’t be mass produced. You can check the update at the end of article. 1200cc weight, 800cc power. Still.